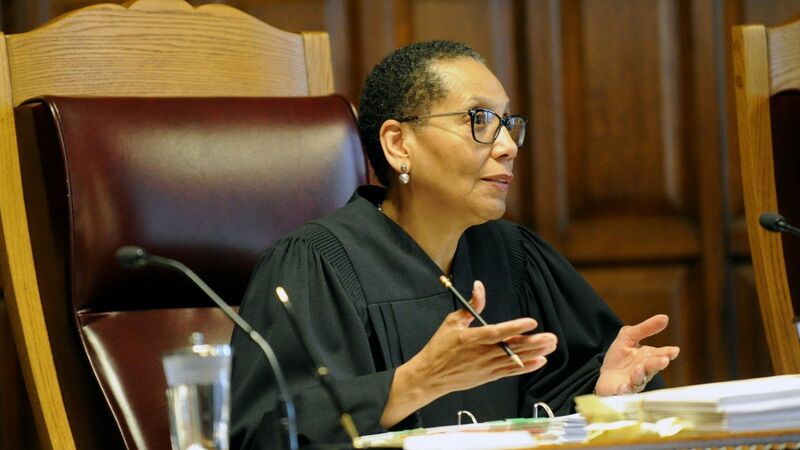 When New York Court of Appeals Justice Sheila Abdus-Salaam, 65, was found dead in the Hudson River on Wednesday, despite reports that her 92 year old mother killed herself during the Easter holiday in 2012, and that her brother killed himself during the same holiday period two years later, the anecdotal evidence of public opinions from the majority of Black folks on my social media feeds was one of rank skepticism with regards to even the possibility that the nation’s first Muslim female jurist may have committed suicide. My dear Brothers and Sisters, hear me and hear me well: Black folks commit suicide, too. I know that it is hard for some to fathom, what with ours being a people who endured 256 some odd years of slavery and almost 100 years of the virulent racism embodied by Jim Crow laws in the south, that Black folks, in 2017 no less, would be so “weak” or “not grounded in the Word of God” to render suicide a viable option. Indeed, I have long suspected that the stigma of being weak forces far too many of my Brothers and Sisters to suffer in silence, especially those who seemingly have “made it” in various white-collar professions where we are often the only Black face or voice in the room. The logic (or lack thereof) holds that if our enslaved ancestors could endure the massa’s whip, and if our immediate forebears could endure the horrors of second class citizenship during Jim Crow, surely we should be able to overcome the peculiarities of modern racism in the office place and the community writ large. I mean, that half-million dollar home, late-model European car, country club membership and chance to enroll your kindergartener in a 5k dollar per month school assures that you have made it and have nothing to gripe about, right? You see, what sometimes is not “told” by the elders is that oppression is relative. The more honest elders like my momma will tell you straight up that 2017 is in many ways far worse than the Jim Crow era that she and my late father grew up in because they KNEW who the enemy was and understood the mores of the time, while our younger generations fall into the trap that is the “illusion of inclusion,” one that is wrapped in subtle micro-aggressions that have devastating impacts. I saw this happen back in 2004 when a very lucrative contract to handle public defender conflict of interest cases, one that would pay mid to high six figures per annum per firm to handle cases in which better than 70 percent of the clients were black, was put out for bid by our judicial circuit. I distinctly remember the convener of the interest meeting, an older White male, looking directly at me while damn near gleefully saying “affirmative action is dead per the One Florida law, so there will be NO minority participation points for this bid.” Suffice it to say that my lawyer group that consisted of two Black males, two Black females and one Latino male–all extremely well qualified–were caught on the outside looking in as a group featuring six white men and one white female got the contract and the loot. While I was extremely blessed to remain in private practice due to my private cases, most of the other solo firms were soon out of business. Not long thereafter, one of my office suite mates, a sole practitioner already dealing with depression but undoubtedly concerned about revenue stream when a guardianship contract with the State would soon yield fewer dollars, soon hanged himself to death–he was 32 years old, if my memory serves correctly. Indeed, our generation also deals with the overt aggressions of those “Make America Great Again” types who blaze their car or truck horns or give us the middle finger in traffic, talk loudly and all reckless to us in restaurants and shops, or they purvey vitriolic acts and slogans on social media such as “Go Back to Africa,” “Build that Wall,” “extreme vetting of Muslims” and the one that boils my blood each time some unarmed Black man, woman or child is killed by some trigger happy police officer, the “#BlueLivesMatter” dismissal of legitimate Black concerns about how we are mistreated by some law enforcement officers. The reality, though, is that depression, anxiety, and suicidal ideations among Black people are REAL. I will turn 45 next month and I have known five Brothers who have killed themselves over the past 20 some odd years. The most recent was a good friend, a young man who had a lucrative personal training business until he caught a publicized felony criminal mischief charge and found his wealthy and mostly White clientele abandon him. He hired me to handle the case and on the Friday afternoon before we were heading into court, we met at my office where I outlined a trial strategy that I was extremely confident would lead to a not guilty verdict. My friend was sure that we would win, too, but he kept going on and on about the embarrassment of the arrest while expressing doubt that his business would ever recover. That Sunday, my friend placed a pistol to his head and blew his brains out all over the foyer in his half-million dollar home.